Nancy Darlene was born on Friday, October 27, 1944 in Chesley to Algernon Sydney and Dorothy Bernice (Craig) Yeoman. She was baby sister to Bernice. Both girls attended Chesley Public School and once Nancy finished grade eight, she ventured out into the world of paid labour. She worked with her father at Bruce Packers in Paisley labelling products. When Bruce Packers closed Nancy went to work as a labourer at Heirloom in Chesley and then later as a Nurses’ Aid at Parkview Manor. This later job required Nancy to take a night course which she did with flying colours as Nancy was very bright. From Parkview Manor Nancy finished off her paid career at the Chesley Post Office, retiring in 1999. Nancy was married to David Eaton and together they had the cutest little girl, Shannon Ruth, born in Chesley in 1968. Sadly, Nancy was widowed when Shannon was just three years old as David had suffered from a brain aneurysm. Shortly after his death, Nancy moved into her parent’s home with Shannon and together the three adults helped raised Shannon. This was the perfect arrangement as Shannon knew she was cared for and Nancy was able to continue to work to provide for her daughter. This nesting arrangement continued as Shannon herself, with three boys of her own, lived with Nancy. This also allowed Shannon to work at Parkview Manor providing financial security for the family. Nancy’s first grandson, John (born 1992), spent a fair bit of time in hospital in Toronto as a child and Nancy spent a lot of the time with him. When she and Shannon would switch places, Nancy would be at home with Nate (1993) and Zach (1994). Nancy loved children and loved having them all around her. Yearly trips to Story Book Park outside of Owen Sound have provided her grandsons with wonderful memories. It was nothing for Nancy to climb into the rides with the boys and truly get down to their level. She not only cared for her own flesh and blood she also cared for extended family members as well. In fact, she has been said to have cared for a “slew of kids,” mostly nephew Andy’s children! All in all, she truly created a sheltered nest for family members where they knew they were truly loved and cared for. It was a happy day indeed when Nancy experienced the birth of her great-granddaughter Oaklyn. Nancy was particular about many things in her life, most especially her hair. Seldom was there a hair out of place, having been doused with plenty of hairspray. Headscarves were always worn when in the car. One funny story is told of when the wind blew her scarf into a cow pasture and she made Shannon go get it. (Too funny!) Nancy was always well organized and everything had a place and there was a place for everything. “Be careful of the curtains” was a phrase often heard in her home! Once her grandchildren were grown, the drawing and coloured pages were taken off the fridge! While working around the house, Nancy loved to wear loose-fitting clothing – better for giving grandchildren hugs apparently! Yet outside of the house, Nancy wore well fitted, fashionable clothing! Another wardrobe article that Nancy loved was her light blue Snuggie™. Oh, how she loved it! As with a lot of men and women of her generation, Nancy smoked. She started at the young age of thirteen and continued to the day she died. One winter she even created a cardboard box smoking area outside of the house to smoke in. She started out with the Du Maurier brand and when the cost became prohibitive, she turned to Canadian Classic and even, on occasion, rolled her own. With all the added addictive substances found in cigarettes, it was near impossible for Nancy to quit, despite having tried numerous times. Great memories are provided by Nancy’s delicious Christmas Cake and “Mudballs” made with dates, maraschino cherries, coconut and graham cracker crumbs. She had a deep and abiding faith in God and occasionally read the Bible. She loved all things Irish, paying tribute to her heritage. This heritage caused her to love the band, Irish Rovers and did she ever enjoy dishes like Cabbage and Corned Beef. Oh, how Nancy loved her Irish Roses and they grew in abundance in her flower garden. The bushes came directly from the area where her family had immigrated from in Ireland. Of course, Nancy also had a vegetable garden. Nancy also liked to tat and crocheted tablecloths and doilies. Surprisingly enough, Nancy had a thing about roosters always wanting to have a live one as a pet. Not to be had, she then collected the figurine kind! Nancy hated cats and dogs and the only possible reason for her love of roosters would be it reminded her of fun times spent on the Craig farm in Sullivan Township as a child. It also could be that as Nancy was an early riser the rooster enabled this routine. Nancy was also a cat napper, catching forty winks when the children laid down. This cat napping allowed Nancy to keep her house spotless and all her laundry, cooking and baking up to date. Nancy always had Fox News on and she was a great supporter of Diefenbaker. She was very political! New country music was not to her liking but she loved the 1950’s rock and roll and most especially Blue Grass. As time did not allow it, Nancy was not much of a reader. Rolls and cabbage salad from Kentucky Fried Chicken™ and Chinese food (especially egg rolls) were also favourites. Nancy was not much of a coffee drinker but a small double, double from Timmies was always a treat and would last her an entire day! Nancy was a tea drinker, always taking it with three sugars and three milk or cream. 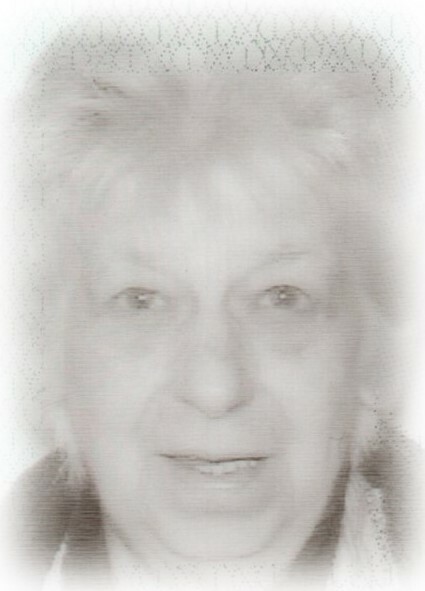 Nancy Darlene Eaton of Chesley, passed away suddenly at home, on Monday, March 25, 2019 in her 75th year. Loving mother of Shannon Eaton of Chesley. Cherished grandmother of John (Nadine) Eaton of Paisley, Nate Eaton of Sarnia and Zach Eaton (Stephanie Ellis) of Owen Sound. Doting great-grandmother of Oaklyn. Nancy will be dearly missed by her sister Bernice Cottrell of Port Elgin, as well as Bernice’s entire family. She was predeceased by her husband David Eaton, nephew Andy Yeoman and her parents Algernon and Dorothy (Craig) Yeoman. Private family services will be held with inurnment to follow in Chesley Cemetery. Memorial donations to the charity of your choice would be appreciated as expressions of sympathy. I am very sorry for your loss. My deepest condolences Shannon. I was very sorry to hear about your Mom’s passing Shannon (I was out of the country). May your memories carry you through these difficult days. Blessings to all the family. Nancy and I were friends when teenagers and we had a lot of laughs. I hadn't seen her for many years but often wondered about her. My thoughts are with you and remember all the good memories you have of her. Shannon and family sending you love at your time of this this loss. Also keeping you in my thoughts. Deepest sympathy and condolences for your loss. So sorry my friend for ure loss . Condolences to all families. From Herb and Catherine Dawdy .
. In our thoughts and prayers Shannon and family at this time of loss.